In my humble opinion, baking cheesecake is no easy matter. In fact, it is quite a delicate bake with lots of preparations and protections required but the result is worth the effort. 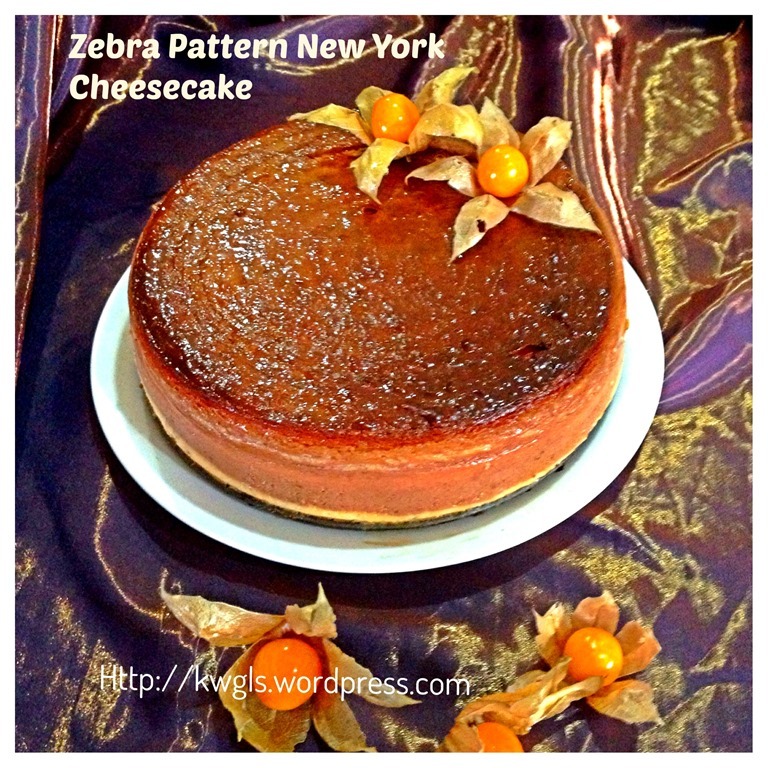 Last weekend, I have decided to bake one of my favourite cheesecake – traditional New York Cheesecake. Unsure if readers concurred with me, I loved cheesecakes sold in Hilton chain of hotels. 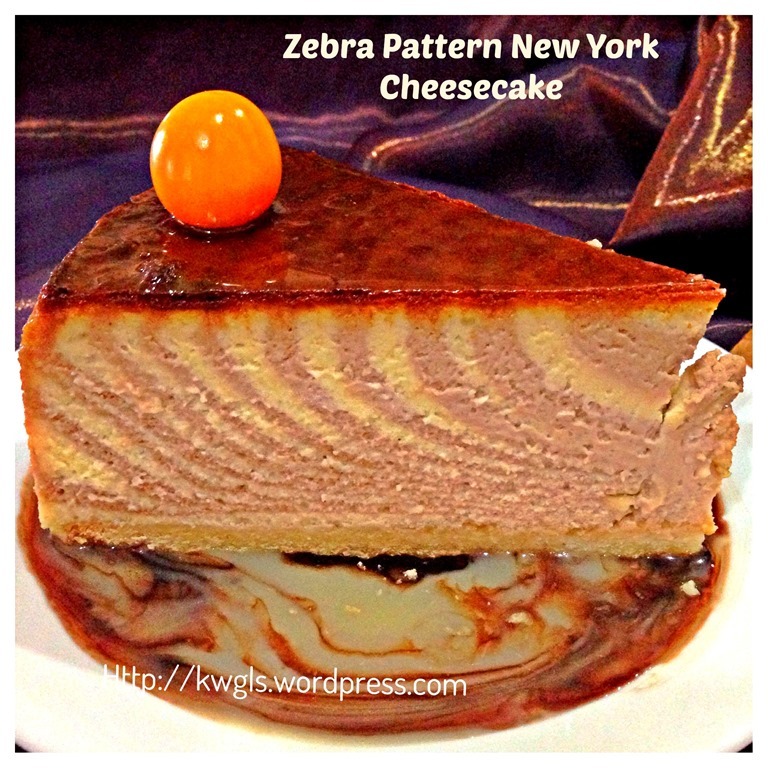 I may be prejudiced, whenever I have meeting with friends or business associates at Hilton, I will sure to order their cheesecakes, be it in Malaysia, Singapore, Hong Kong, Shanghai….. and traditional New York Cheesecake always top my list. 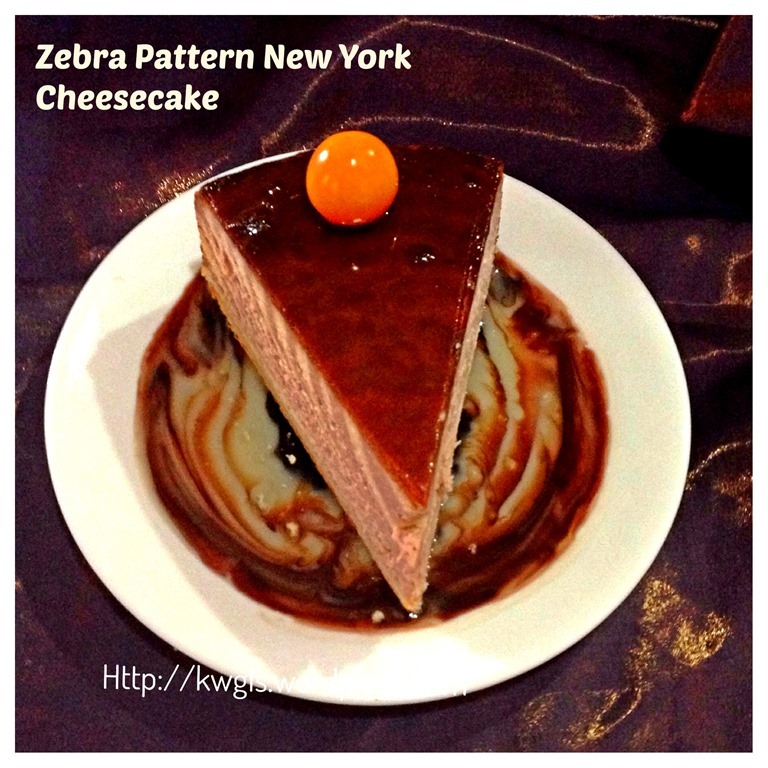 I loved its dense, smooth and creamy consistency. 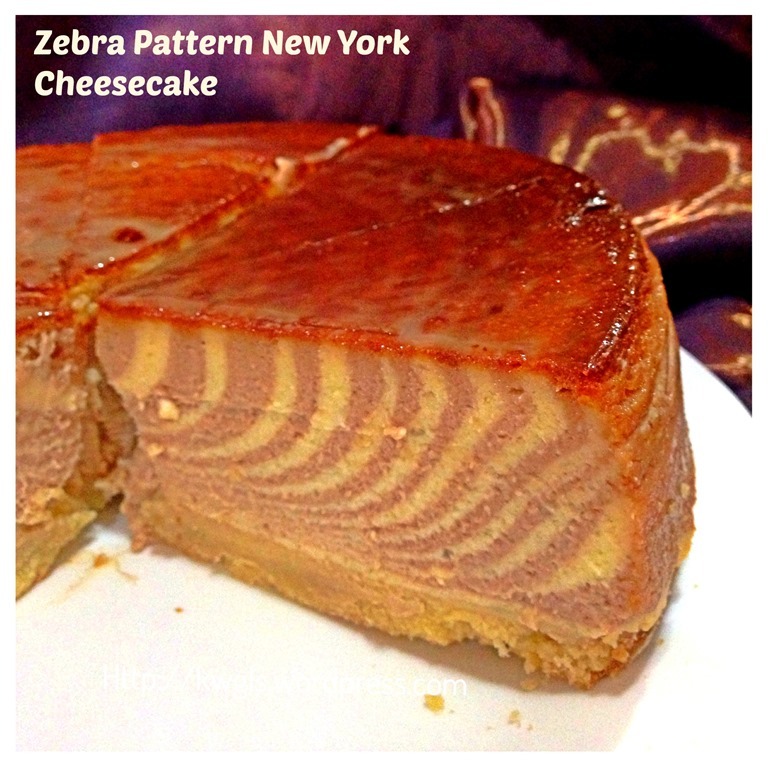 The challenge to baking a cheesecake is to ensure there is no crack in the cheesecake and there are many factors that can cause the cheesecake to break. 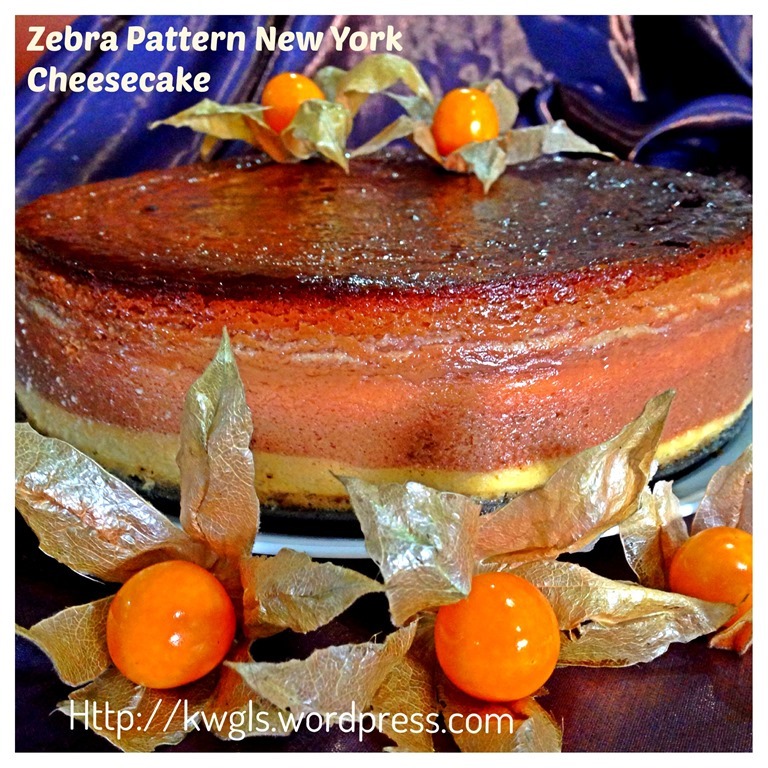 Over or under beating of cream cheese, temperature of the cream cheese, over mixing, baking temperature too high, inadequate rest in the oven, baking time too long, inadequate greasing of the baking tin etc.… are culprits to a crack cheesecake. 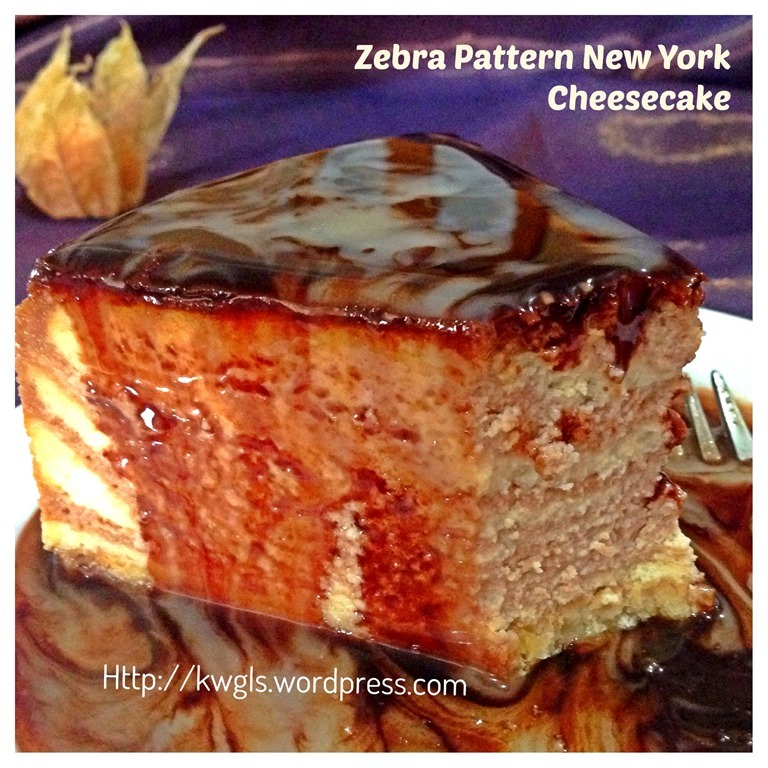 I have found one recipe on the internet with many good reviews and one reviewer have provided a review that caught my attention. 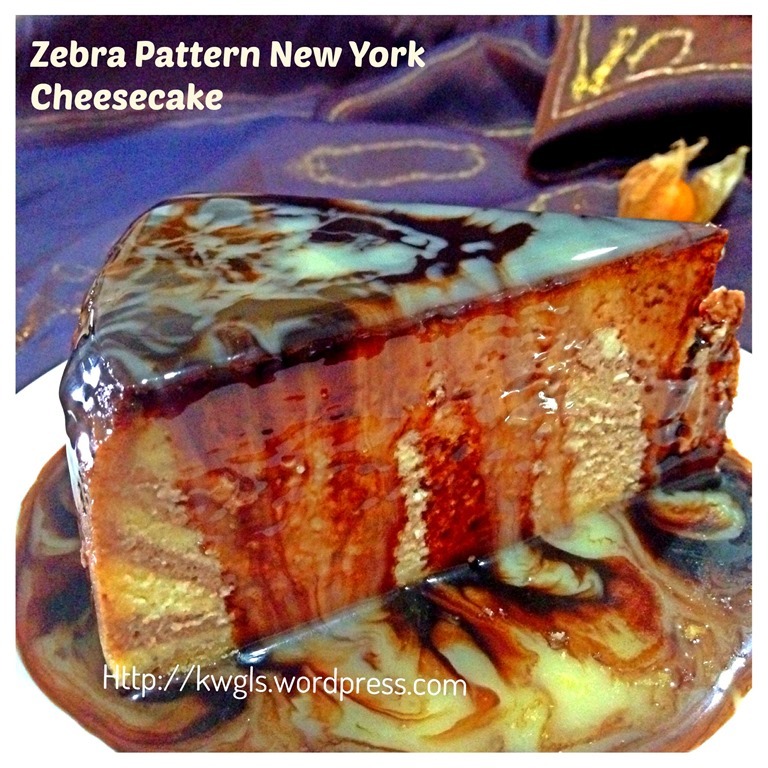 Ms. Morena in her review said the following which in essence sums up the gist of preparing a good New York Cheesecake. The cheesecake that I baked still have a small crack. I am unsure of the reason but I believed it may be due to the trapped air when I did my zebra patterns. However, for me that is acceptable and rather immaterial to the entire cake. I have choose to make it slightly different from its traditional look by creating a visual presentation of zebra strips. 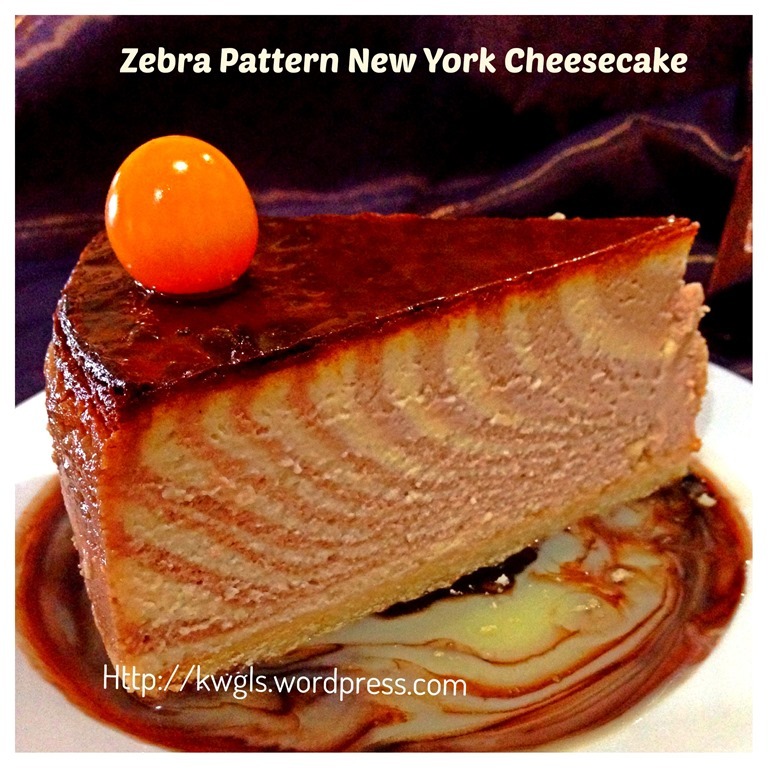 It is not difficult to prepare but it is indeed refreshing when a piece of zebra patterned cheesecake is placed in front of the diner. Note 1 – As I do not have sour cream, I have used 230 grams of normal whipping cream plus 2 teaspoons of lemon juice plus 2 teaspoons of orange and lemon rinds each. Note 2 – If you do not have dark chocolate sauce, melt 50 grams of dark chocolate in a microwave oven (for 1 minute) and stir in 1-2 tablespoon of normal cream for whipping. Grease the baking tin adequately and put a baking paper on the bottom of the baking tin. Note that you can choose either use the short crust pastry or biscuit crust as detail later. 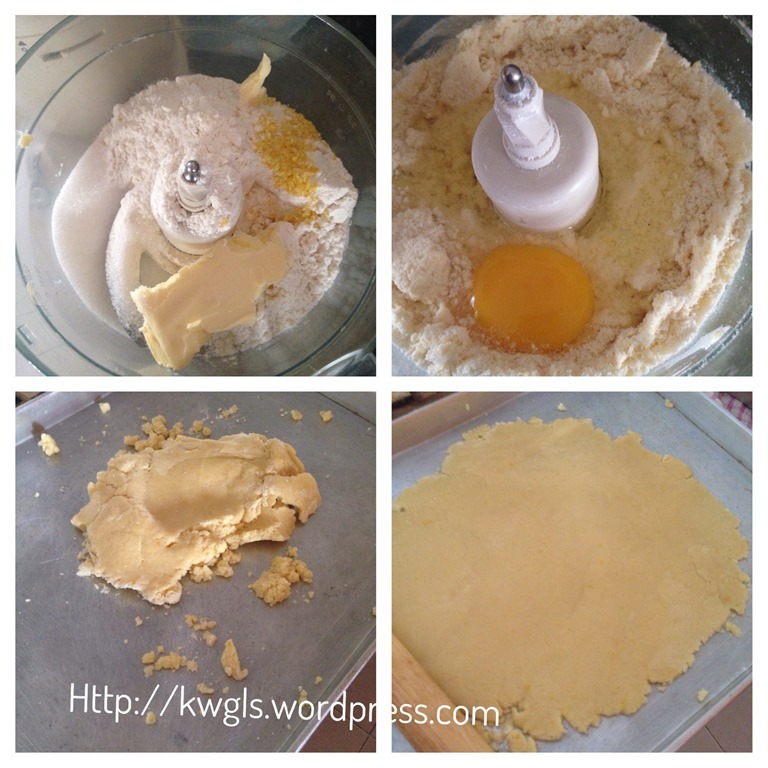 Biscuit crust is easier as compare to short crust pastry. Put flours, butter, sugar, and lemon rind in a food processor and blend for 30 seconds. Add the egg and process briefly until the mixture just comes together. 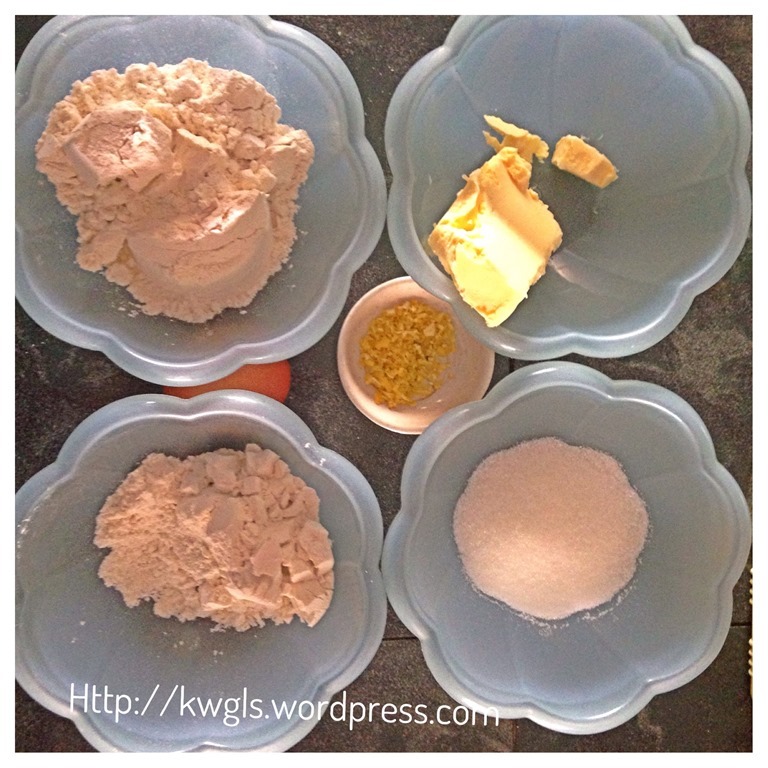 Put in a lightly floured surface, roll into a flat piece, cut into the shape of the baking tin. 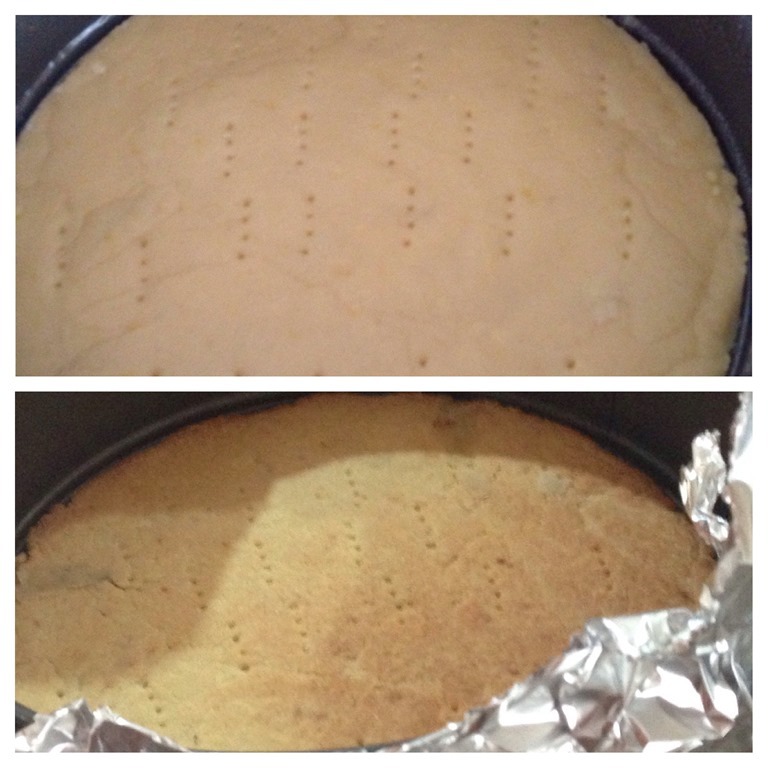 In the baking tin, put a piece of round shape baking paper on the bottom. Put the pastry on top of the baking paper, use a fork to make some holes, baked in the pre-heated oven of 210 degree Celsius for 10 minutes. Cool and set aside for later use. If you have opted to use the biscuit crust pastry, blend the graham cracker until they become crumbs. Add in melted butter and press onto the bottom of spring form pan. Once the short crust pastry OR biscuit crust is done, use 2 big pieces of aluminium foil to wrap around the baking tin. Set aside for later use. 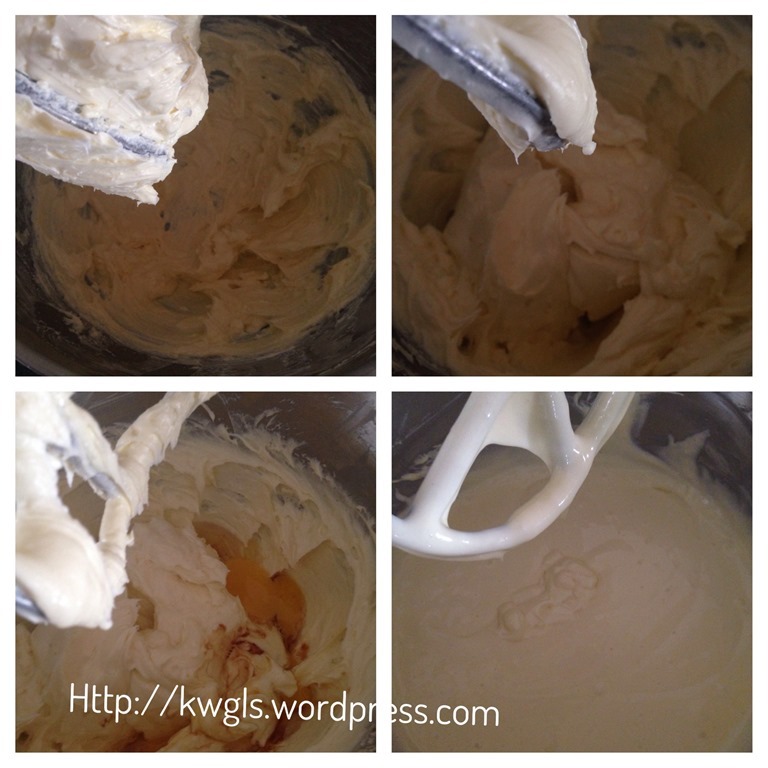 In a stand mixer, put the cream cheese and sugar in the whisking bowl and beat until smooth and no lumps noted. Add in one egg at a time, beat until smooth. Add in sour cream (or normal whipping cream + lemon juice + lemon rind + orange rind), milk and vanilla essence. Stir/beat until well mixed. Add in flour gradually and stir until well mixed. 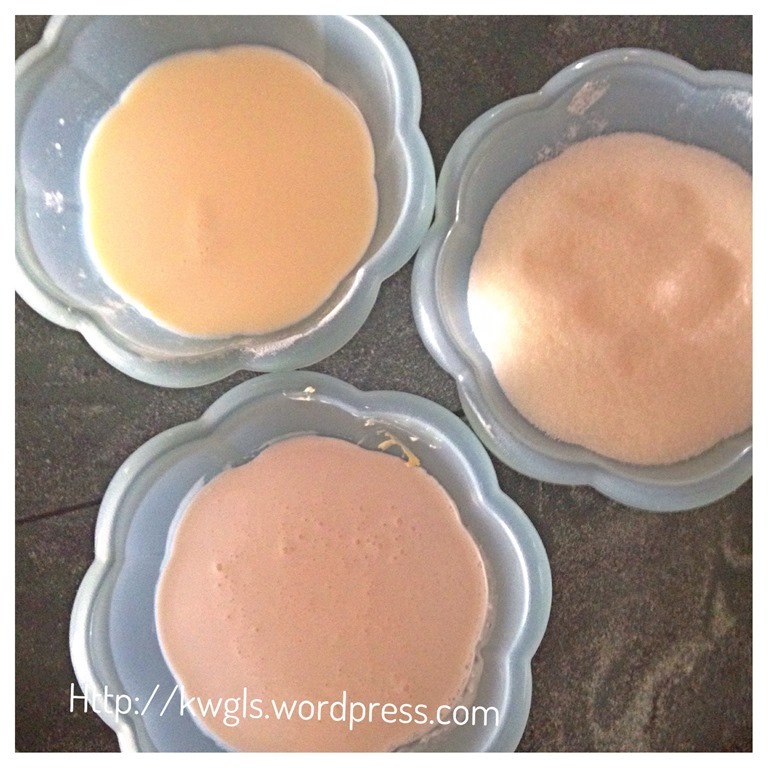 Divide the batter to two portions. Stir in the dark chocolate sauce to one portion and ensure that it is mixed thoroughly. Get ready 2 ladles for the 2 batters. 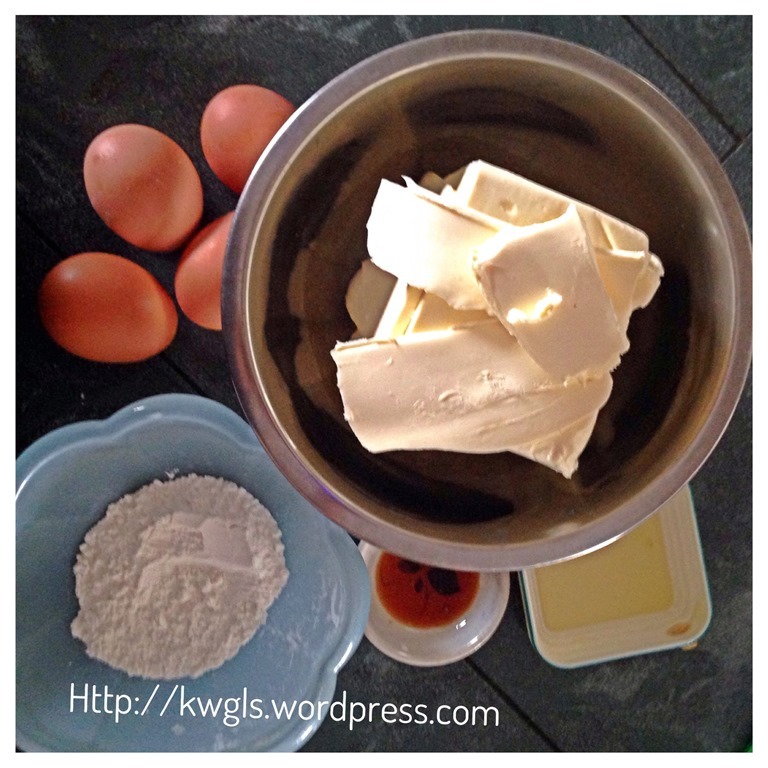 Put one ladle of cream batter (ladle No. 1) on top of the short crust or biscuit pastry in the baking tin. Put another ladle of chocolate batter (ladle No. 2) on top of the cream batter as centre as possible. Put another ladle of cream batter (ladle No.3) on the centre of the chocolate batter. 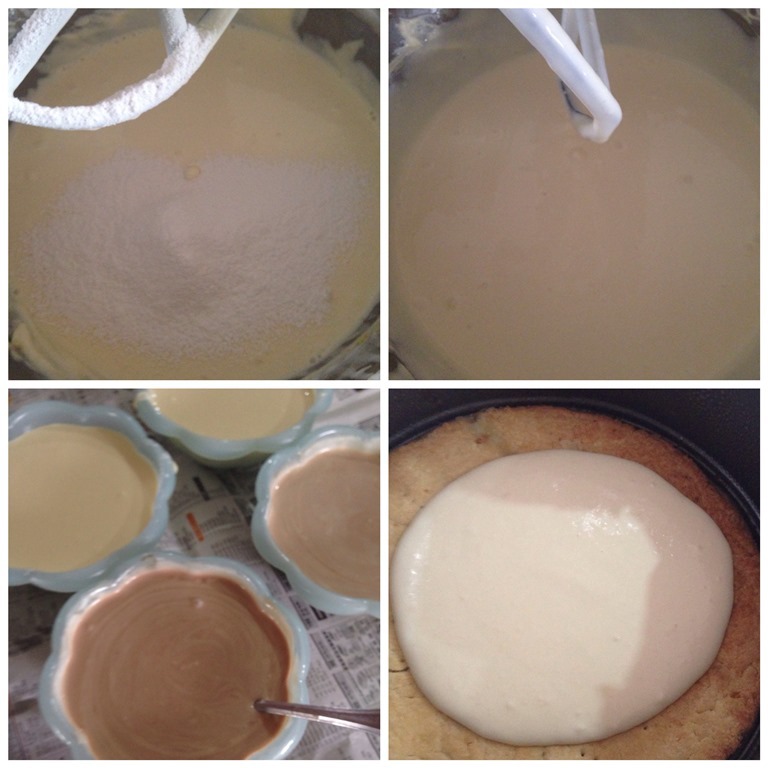 Repeat the same of all the batter until finish. Basically, all odd number layers will be cream batters (ladle No. 1, 3, 5,7, 9…. ) whereas even number layers will be chocolate batters (ladle No. 2, 4, 6, 8, 10……). Baked in the pre-heated 160 degree Celsius for 1 hour. Ensure that baking tin is wrapped by aluminium foil and baking tray is with at least 1 cm of water. 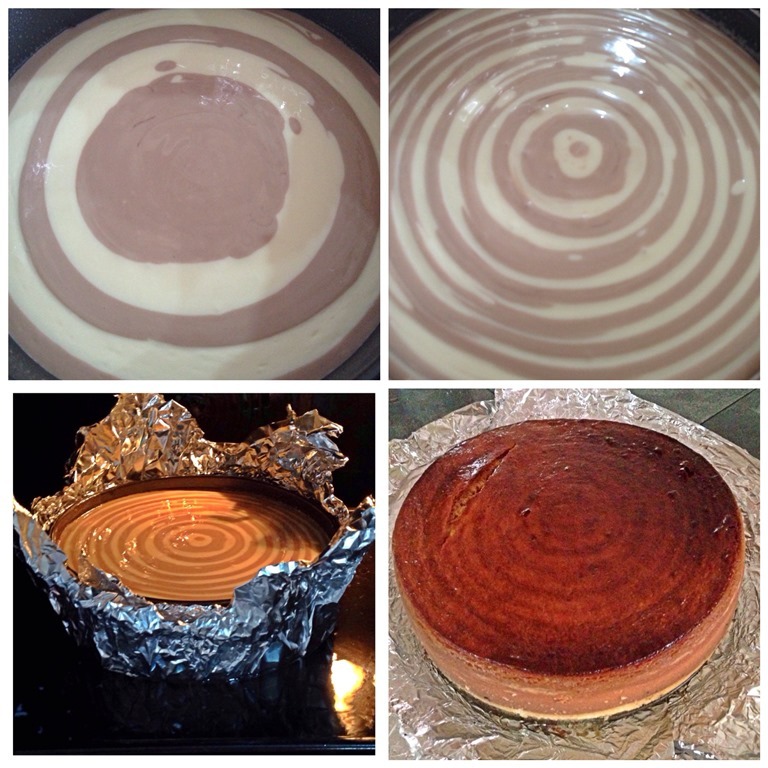 At end of baking, do not be alarmed if the centre of the cheesecake is still a bit runny or not set yet. It will set eventually if the following instructions were followed. If the cheesecake turns brown too fast, use some metal to put on top of the baking tin. After one hour, off the oven. LEAVE THE CHEESECAKE IN THE OVEN (WITH THE DOOR CLOSED) FOR AT LEAST 3-4 HOURS or until the oven temperature drop to normal room temperature. Chilled in the refrigerator for at least 1-2 hours before cutting into slices for serving. Well, this is a long post. From the time I bake until I have the first bite, it took me more than 12 hours. In fact, I baked in the morning, after I off the oven, I went for my shopping in the afternoon and before I went to sleep, I transfer the cheesecake to the refrigerator. I cut my cheesecake in the next morning. But the wait is worth the effort. 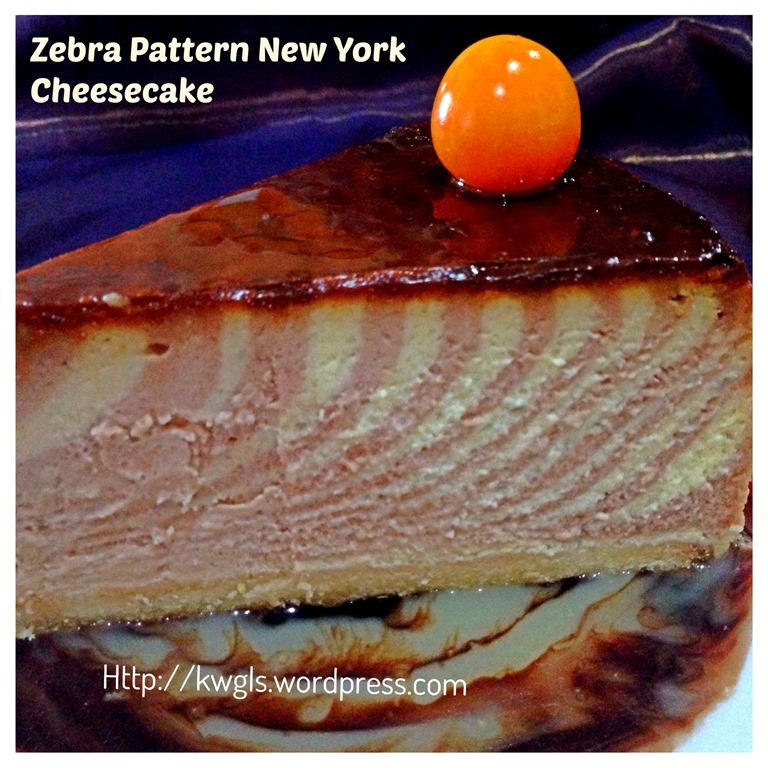 I am rather happy as the cheesecake is creamy, dense and smooth. 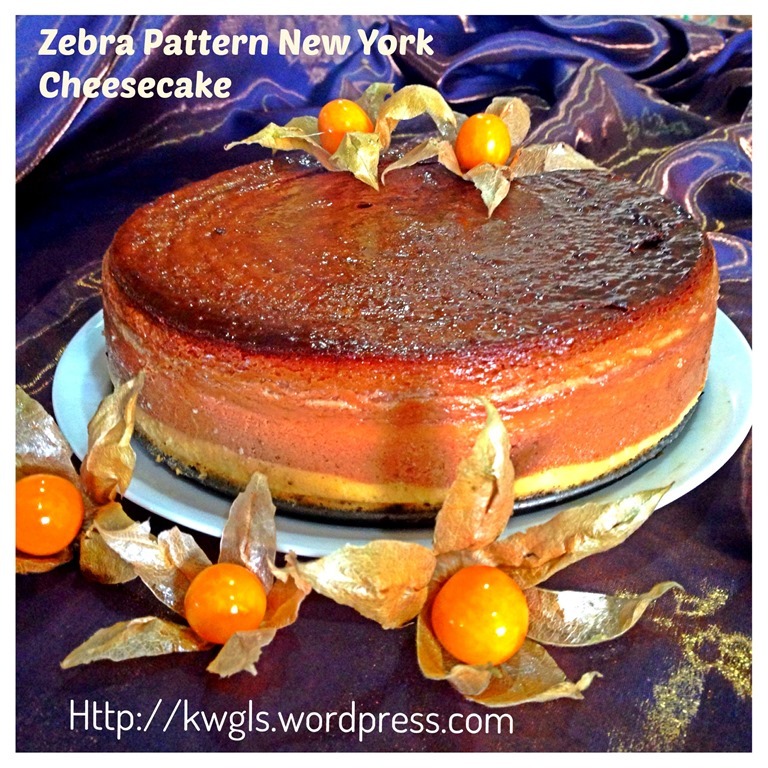 I can still bear with the small crack or imperfection in the cheesecake. Hope you like the post to day and have a nice day. 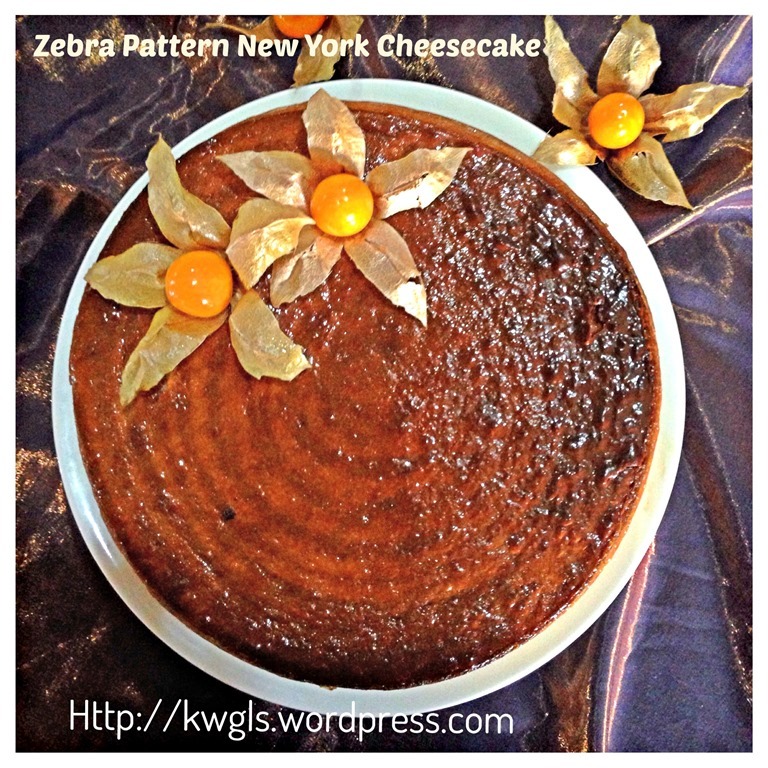 This entry was posted in Cakes and cookies, Christmas 2013, Food Preparation Series and tagged 8, christmas 2013, GUAI SHU SHU, Guaishushu, New York Cheesecake, postaday, Thanksgiving 2013, Zebra Pattern New York Cheesecake. Bookmark the permalink. This looks delicious! I’ve always been afraid to even TRY to make a cheesecake because I know it’s a delicate process. Thanks for sharing it today on the Daily Blog Boost! You did an absolutely amazing job….take it from me, a lifelong new yorker! 🙂 This looks amazing! Loved reading every bit of your post!! yes a long wait just like flan but all worth it!! Its difficult to get cream cheese here wish if hung curd and cottage cheese would do the job here? any idea? I am totally unsure, Aara.. Chances are great for cottage cheeses.